According to survey, our country is one of the happiest countries in the world. In the United Nations celebrations of the International Day of Happiness on March 20 to recognize the importance of happiness in the lives of people around the world. SM Mall of Asia, as the pioneer and one of the largest malls in Asia recognized the influence of promoting the happiness in every Filipino. Thus, on its 3rd year, the MOA Happiness Campaign brings it to the next level of giving happiness like no other to every Filipino mall-goers. 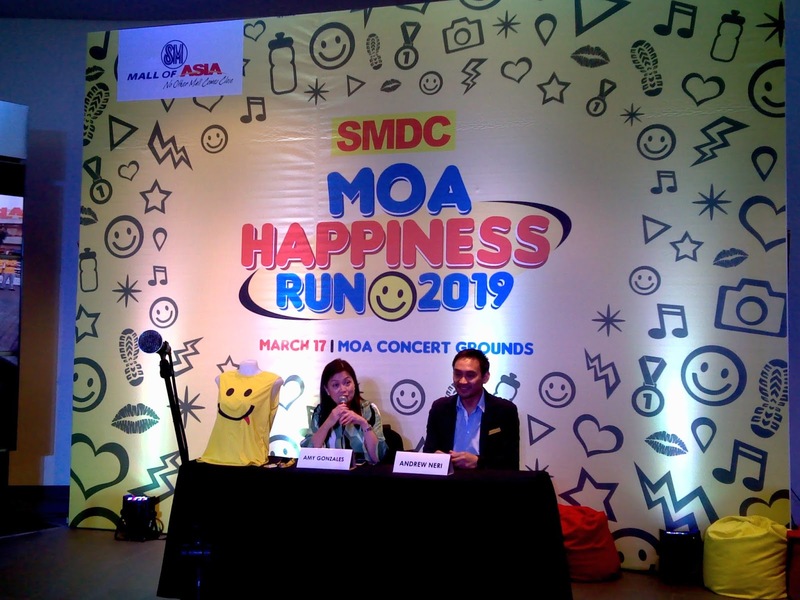 To kick start the International Day of Happiness, SM Mall of Asia partnered with SMDC and Runrio Events, Inc. in organizing the very first and happiest run in the country entitled MOA Happiness Run which will be on March 17, 2019 at the SM Mall of Asia Concert Grounds. To feel the happy vibes through running, the runners will experience a day of extra happiness as they go through the four (4) different stations such as Happiness Bubble Station, Happiness Inflatable Station, Happiness Wall and Happiness Photo Stations. 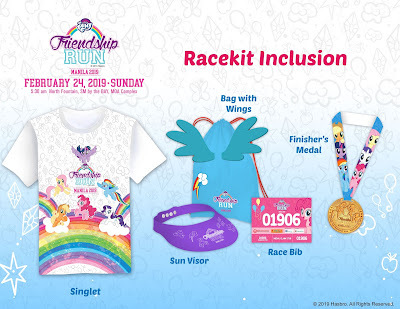 Upon registration, runners will receive their Happiness Kit that contains, a singlet from which you can choose from two happy emotions, loot bag with lots of happy treats and goodies, happiness medal and race bib which is specially designed to hype the happiness feels. The racecourse will includes the fun obstacles and the event itself will have activities that runners of all ages will enjoy. 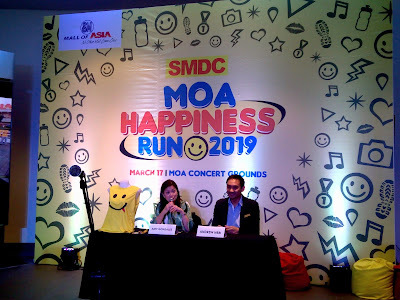 There will also a Happiness Concert and a segment wherein the event will give away big prizes such as cameras, phones and gift certificates along with more exciting prizes that people should watch out for. 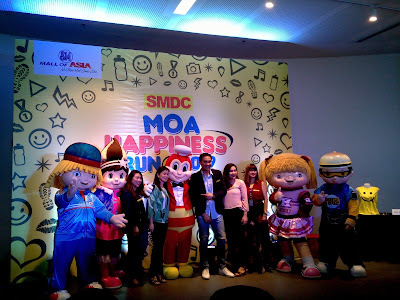 Not only that because SM Mall of Asia has its own unique efforts of building the mall itself as the hub for happy moments and memorable experiences which will be a day full of extra happiness on March 20 as we celebrate the International Day of Happiness. There will be a shower of discounts and promotions from mall wide Happiness Sale and surprises from our Happiness Squad will roam around the mall to give away free hugs and treats to customers. At night, mall-goers will have something to look forward to capturing the iconic MOA Globe that will transform into our favorite emojis starting March 1. 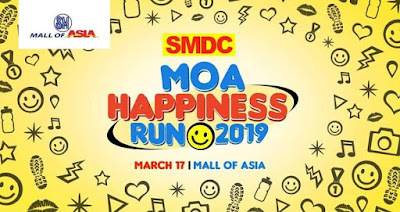 Celebrate happiness at SM Mall of Asia and sign up now for the first ever and happiest run of the year! Calling all My Little Pony fanatics! Get ready for another fun run that will you surely enjoy and excite. 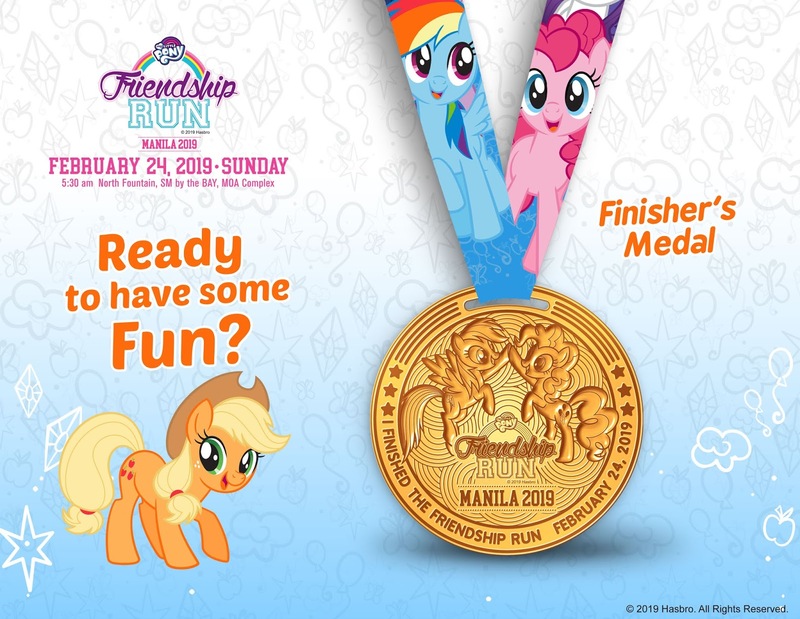 Mark your calendar because the My Little Pony Friendship run will be on February 24, 2019, 5:30am at the North Fountain, SM by the Bay, Mall of Asia Complex. The individual price starts from Php700 for 1 kilometer, Php800 for 3 kilometers, and Php900 for 5 kilometers race category. If you want to run with your family, the price starts at Php2,500 for the family of four for the 1 kilometer race category and Php2,900 for the family of four for the 3 kilometers race category. 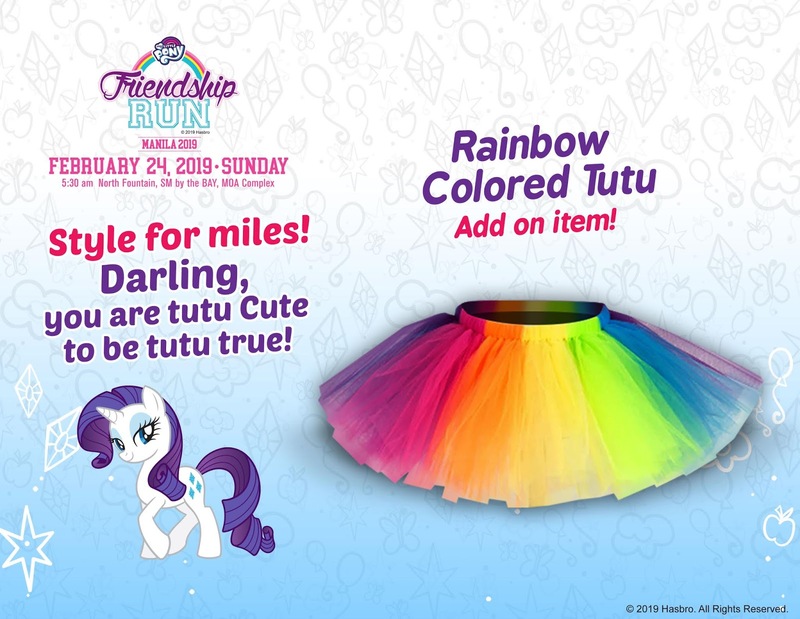 Also, you can add on a rainbow colored tutu for only Php250. Oh! By the way, finisher's medal can be claim after the run. There are two (2) ways to join or to register. 2. On-site registration through Chris Sports branches at the UP Town Katipunan, SM North EDSA, SM Megamall, BGC Uptown Mall, and SM MOA. 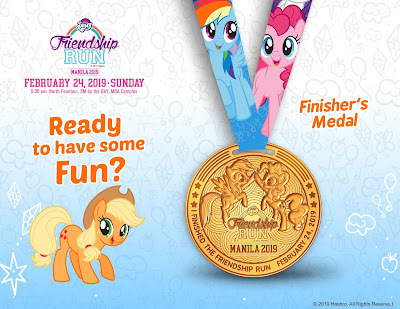 For more information about My Little Pony Friendship Run Manila 2019. You may follow them on their social media on Facebook and Instagram: @mylittleponyrunmanila. You may also contact them at 09503789306 on Smart and 09272826769 on Globe. It's gonna be fun... So what are you waiting for? Register now and bring your friends and family with you. See you on the 24th of February! The NailGanic Lounge Organic Nail Spa Is Now Open! What's Hot... What's New In Beauty Today!